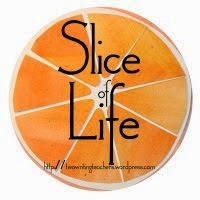 I'm slicing with the Two Writing Teachers community for Day One of Thirty-One of my sixth Slice of Life Challenge in March. Thank you Stacey, Tara, Anna, Betsy, Dana, Kathleen, Beth, and Deb. It is an enormous undertaking to manage this challenge along with work and family, too. I appreciate the time each one of you take to help make this month a success. There are some who have been writing with me all these years. I look forward to seeing them, and meeting some new slicers, too. Best wishes to everyone for writing each day, taking precious time to do something for yourself, to become a writer, or to continue the journey you've already begun. From Charles Dickens' Great Expectations: "It was one of those March days when the sun shines hot and the wind blows cold: when it is summer in the light, and winter in the shade." Stacey Shubitz shared a post some time ago that I wrote earlier this year considering the "ordinary". You can find it here. In it I questioned the aspect of our culture that seems to expect more than the ordinary, not accepting the ordinary. Yet, I feel that the ordinary is something to savor, something to appreciate, our daily lives continuing on with family and friends, indoors and out. I changed my header for this challenge, emphasizing the ordinary. To me, it IS the little things. creates shadows on the clouds. And, like many, I love imagining pictures. else? I'll let you decide. I live in Denver, and the weather in Colorado has been unusually warm since the year began. Now, into March, the same predictions apply. Our snowiest month is usually March, so we're all waiting for that other shoe to drop, and a big storm to head our way. As you can see from my header, a picture taken only yesterday, plants are emerging, and I imagine they will survive no matter what. We are hopeful. I love that you changed your header in honour of this challenge. The everyday is certainly something to capture and hold up. Hang in through the storm Linda! Thanks, Carrie, and it's terrific to see you here too. I appreciate your honoring of the "ordinary". I believe I will cling to that through this challenge...my first. I'm sure to have plenty of "ordinary" to write about, and I love your point that we should savor that "ordinary". Welcome, Krista and thanks for stopping by. I hope this does give you ideas for writing. Savor was my favorite OLW. The year I chose it marked a slowing down of my professional life (retirement) and a time to embrace the ordinary. Love your tree pic with that cloud question mark! Thanks, Ramona, it must have been a wonderful word for that year. Here we go again! I see a genie coming out of a bottle. Magic in the ordinary? A beautiful post to welcome the challenge. Looking forward to this month in it lovely everydayness. Oh, terrific, the genie is what I see too, Julieanne. And I love your phrase, "lovely everydayness", may need to use that sometime. Thanks. "We are hopeful." YES, we are! I'm so in love with your posts about finding the extraordinary in the ordinary! Love the hope that's found in nature! Happy Slicing! Thanks, Michelle, time to start again. 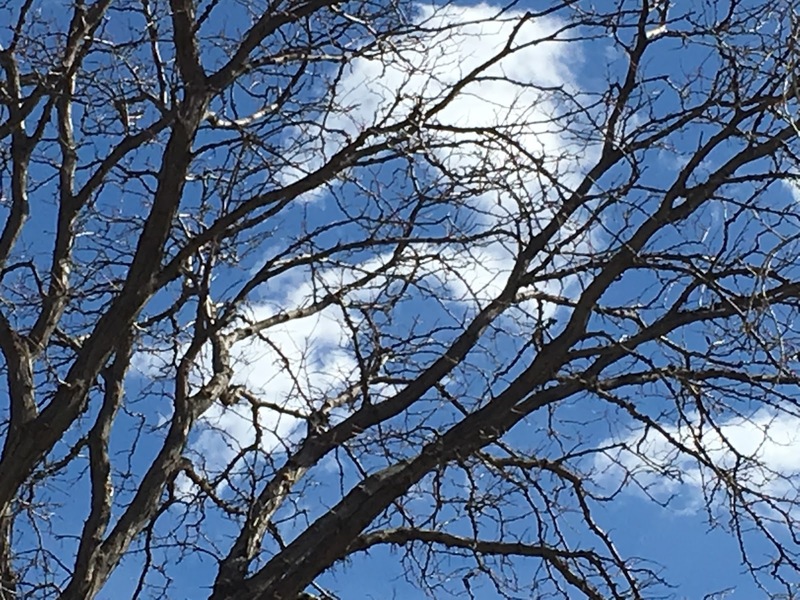 Love the tree branches with the clouds and blue sky! I see the genie, but also perhaps a seahorse twisted too? You know I embrace the ordinary. Here's to the ordinary and telling that tale this month. I'm always happy to go traveling in March with you, Elsie. Glad you see that genie, & now I see the seahorse, too. I love the way you captured the ordinary, Linda. I see a seahorse or is it a flying dragon at the top of the sky. Whatever it is, it allowed me a moment to observe closely and believe in the beauty of what is before me. Have a wonderful day, Linda. Your header photo captures the essence of hopefulness. Thanks, Carol, happy to have you pause to look closely, and to "see". Glad to be traveling along this month with you after our February of poetry! I see a brontosaurus, stretching his long neck to search for leaves. I love this post - an inspiration for looking at the little things that make life worth living. Thanks, Lori, imagination knows no limits, does it? Beautiful photo at the top and in your slice Linda. I see a seahorse. Noticing the ordinary is a beautiful thing. Well, you know I agree, Lisa. Happy you like the photos, and here me go into our slicing world. I love your celebration of the ordinary. Lately I have been so busy writing I forgot to remember the joy of seeing plants grow. I look forward to reading your stories this month. Thanks, Pamela, and I look forward to yours, too. Your writing goals are an inspiration! Great piece! Here in Utah we have had more snow and cold than in past years, so this spring feels like it should be huge! But it's still little signs here and there -- the ordinary things. I like that. Well done. Happy spring -- here's to not letting that other shoe drop! Thanks, Lori. I think the storms you had skirted us, & traveled north. The ground is so very dry. Maybe soon the clouds will open up? I love this post and picture Linda. It's the tree that speaks most to me in this photo...the bare branches against the bright blue sky seems to show possibilities of things to come. I often find myself looking toward the sky to see what I can see - because there is always something interesting up there! Thanks for sharing and here's to a great month of slices! I've missed it! I'm glad you enjoyed the picture, Robin, & it's so nice to have you back writing! I have trees all around me so it's actually great in the winter because then I can see the sky! Happy slicing to you, too! Oh Linda, love all of it. You are so right. It is the ordinary and the little things that we often look past too quickly when really it is all those little things that allow us to survive everyday. Thanks for your slice today. Looking forward to re-connecting with everyone. Me, too, Betsy, & thank you for all the work you're doing to make this a wonderful month! I think holding onto the ordinary is most important, especially when involving 31 days of writing! That's the essence of our lives -- that's what makes us who we are, just the ordinary. Looking forward to another month of slicing together, Linda! Thanks, Michelle, it's time for me to discover all that's happening in your world and with those girls, growing up all these years we've blogged together. Another vote for a genie out of the bottle! I, too, sat gazing at the sky on a warmer-than-usual Leap Year Day yesterday. I think with aging comes wisdom,and with wisdom comes an appreciation of the ordinary. That, I think, it what IT is all about! I've sat outside nearly every day at some point, Barbara, glad to do so, and surprised it was February. Thanks for sharing your ideas about the specialness of the ordinary. I have been envious of your weather all winter long. We were supposed to get a huge storm overnight that was surely to cancel school. However, since I am writing this comment from my school desk, you can see that didn't come true. I'm looking forward to 31 days of slicing with you, Linda! Thanks, Jennifer, we were supposed to get a little something, but I guess it disappeared for both of us. Snow days are to be celebrated for sure. Perhaps you'll have one in March, coziness inside while writing? It's been fun blogging, hasn't it? I am so glad I met you through your words. For me the writing has helped to appreciate the ordinary and build happiness. I'm glad that we are continuing to connect, Terje, love hearing all about your teaching and your personal life. The years have passed so quickly it seems. Happy slicing one more time! I didn't know you lived in Denver! How fun! I have a lot of friends who live there. :) Maybe some day we can meet for a cup of tea at a book store and chat! How wonderful that would be, Ricki. Any time you're in town! This morning I left the house for a doctor's appointment wearing a winter coat and gloves. I had to scrape the frost off the windshield. Coming home this afternoon we stopped for an ice cream cone because the car was so warm. Let's hear it for March. Indeed, and as Dickens wrote, too. Glad for the ice cream, too. My son keeps telling me every day, "It's just like the ground hog said! Early spring!" Our weather in western SD is remarkably similar to yours in Denver. I love this reminder to focus on the ordinary. I want to try to do that more this month--to find slices in moments that I would otherwise live right through without paying attention, without noticing. Elisabeth, are you doing the challenge? I'll certainly look for you. Yes, the weather is completely unpredictable, & I'm sure the ski resorts are a little sad if this continues.Thanks for coming by. Linda - I love the quote and yes I also think it is the little things - the small moments can mean so much! Happy Writing! Thanks, Joanne, I actually am a Dickens fan, love his books and wish I had time to re-read some. Hopefully someday I will. Happy writing to you, too! I love this. It seems to me that I notice the "little things" when I am looking at the world with a grateful heart. Giving thanks for the things I have makes me appreciate every little bit. Thanks for sharing this post today! I agree, it makes us appreciate what we have even more when attention is paid. Thanks, Emily. The fact that you notice and savor the ordinary is why I find your writing so appealing! Thanks so much for reminding us all of that, not just as writers, but as humans. Thanks, Karen. It is important to me, a lifelong habit. I love the ordinary. Although I wasn't so fond of the 5 inches of snow I had to shovel before school this morning. I'm hoping it was our other shoe that dropped and spring will soon be here! For your sake, I hope so. We still have some weeks to go before we can say we're safe. Thanks, Deb. Linda, I have also been working on a slice about the ordinary. So important to not take any little thing for granted. We were just in Colorado and there was nothing ordinary about it! Loved every minute. Look forward to connecting this month. Thanks, Clare. I saw that you were here & happy you had a good time! I shared your idea about "provisions" with my new teacher today! Now that you point it out, I see it too, Kendra. Those little things make us who we are, I think. Thanks! I see a question mark in the clouds. Maybe asking us if we are celebrating the ordinary? Are we taking the time to see the ordinary? Do we have hope? Umm...lots of questions! I'm glad to hear your perspective, Leigh Anne. I wish I could have found a question mark that asks everyone if they're writing about the little things, but happy you thought that. What fun! That sky is SO BLUE! We have grey and snow again, after 50 degrees yesterday. Mother Nature can't seem to figure out Indiana this "spring." Happy to see you Slicing again this March! Have fun writing! Thanks, Jennifer, and our sky is mostly always that way. See, you notice, and perhaps we take it for granted! Time to Look up! One of my favorite things every March is how much the challenge of writing every day makes me appreciate the ordinary, and find the special hiding within it! Here we go, yay!!! Several have seen that genie, magic will be following us! Finding that special thing to write is a fun thing to do during the month, agreed! Thanks Jennifer. I, too, think the little things are the most important. I bet you know the quote by Mother Theresa - "I can do no great things, only small things with great love." So great to be in SOLSC again, reading your wonderful posts! Thanks for the quote, Maureen, yes, I know it, and true it is. Looking forward to reading your stories too. So true. It is the little things. I think our slices today could go side by side. We are both looking to the little things for joy and finding it. Happy Day One! I am excited about this month's journey with friends like you. You're right, Margaret, and I loved that you wrote about your way to work, and the things you noticed on the way. Thanks, here we go again. I love that header. Makes me excited for spring. Hopefully your snow is searching for spring also. Perhaps that's where the snow went? I guess I shouldn't talk too loudly about no snow. It might mean a very big one this month. Thanks for loving the header. I like those green things, too. I like the thoughtfulness of ordinary things. 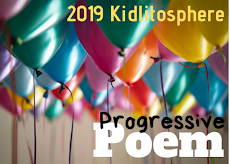 I am looking for a theme for National Poetry Month. Maybe looking for the ordinary as extraordinary might be it. Loved the photo. I've been thinking about April too, Jone, but might explore haiku again. It was a learning for me last year. Thanks. Loved your post Linda. It's true - we need to seek out the ordinary - as there really is something extraordinary in those special times. We are finally experiencing winter again - and lots of snow. Looks lovely tonight. I hope you share some snowy pictures, Beverley. And also hope you're warm and cozy inside. Thanks. You remind me, pretty much every day, to treasure the ordinary. And I love the quote! I read Stacey's blog pretty much every day, but I don't remember ever seeing this! Isn't that a great quote? I like it, too. Stacey shared the link and just a part of my post as an intro to one of the TWT posts, Carol. That's why you missed it. I'm glad to hear that I remind you to look at the ordinary. It is special to me. Thanks! Good morning, Linda! I love the ordinary and I too am a devoted cloud fan. The beauty in the sky never fails to delight me. I am so looking forward to our month of slicing. You inspire me with your committment to writing and to people. Thank you for sharing your wisdom and generous spirit with us. You're welcome, Lee Ann. Thanks for the lovely morning greeting! 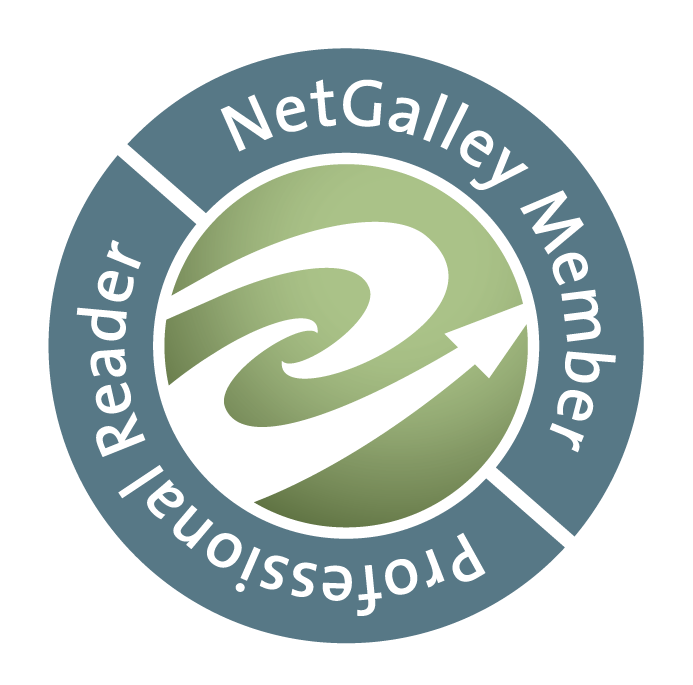 Just read your post, so glad you came by, Ruth, to discover SOLC is happening!